The weather is finally starting to cool off a little bit here! And I find that I am spending more and more time outside! I love the spring and the fall. They are my favorite seasons. Summer can get so hot and humid here in the midwest and sometimes it is too miserable to stay outside for long. But now that things are cooling off I am enjoying being outside more and I can’t wait to entertain outside again! 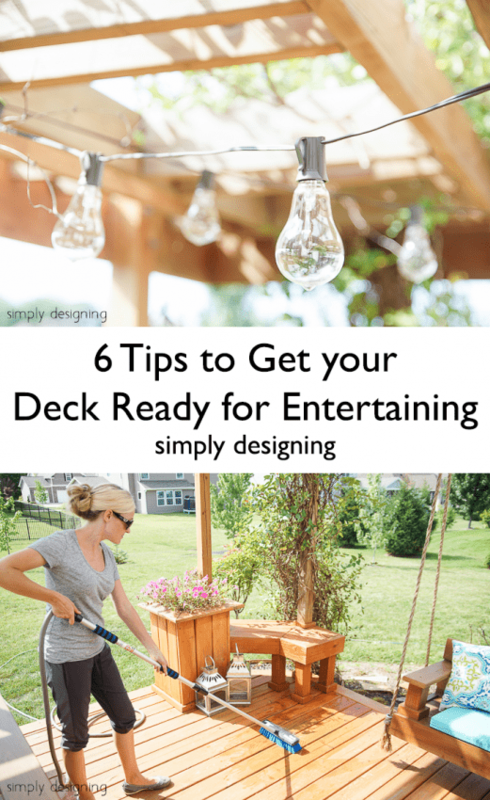 So today I am going to share my 6 tips to get your deck ready for entertaining! These are easy, simple and quick! 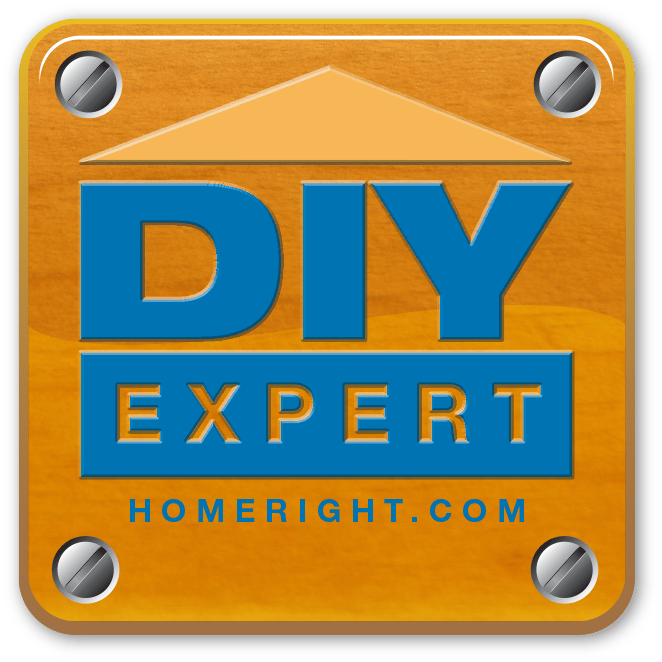 A big thanks to HomeRight for making this post possible today. 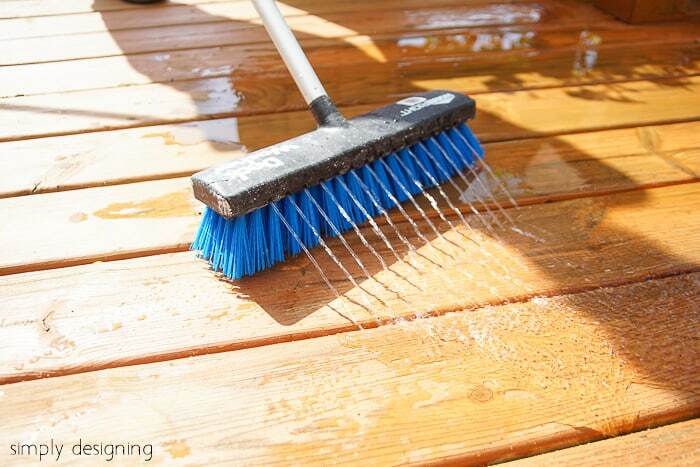 Depending on the condition of your deck, you will at least want to give it a quick scrub! We recently re-stained our deck (read about it here) so it was in good condition. 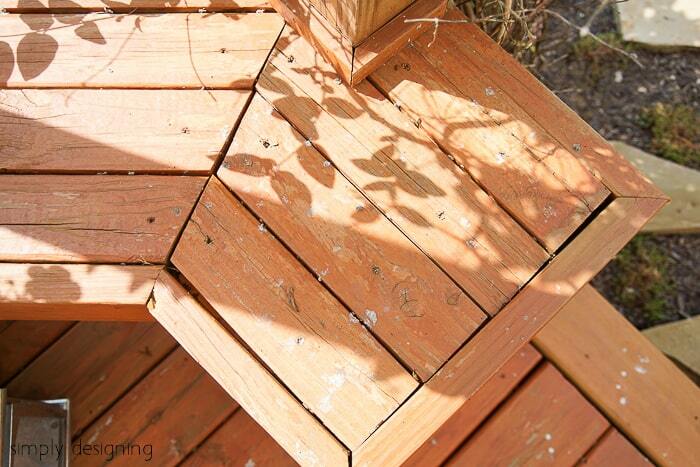 But a bird had built a nest in a pergola so we did have some yucky spots to clean off of the deck from them. 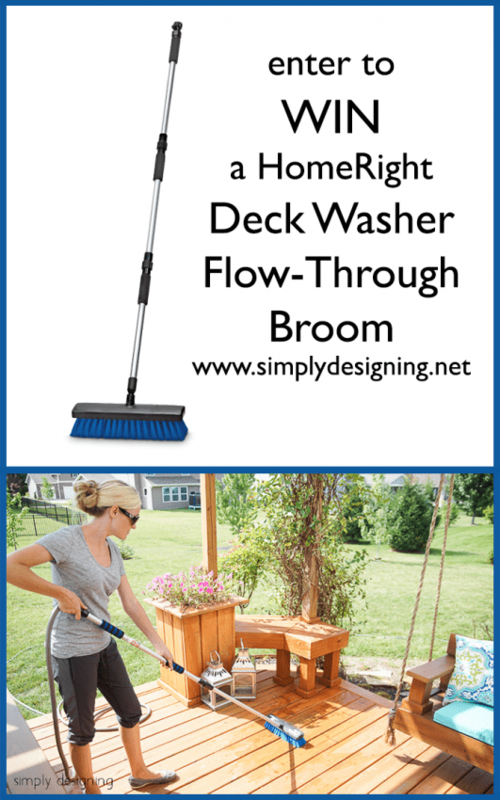 The best and easiest way I have found to quickly clean my deck is to use my Deck Washer Flow-Through Broom by HomeRight. This packs a lot of power into an easy to use broom! I love that I can hook my hose right up to the broom and have water flowing through it while I scrub my deck! 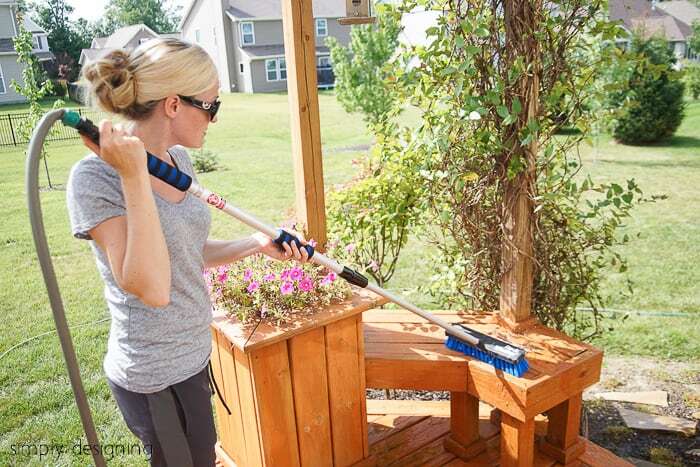 This made it easy to remove the dirt, mud and little birdie messes from our deck. 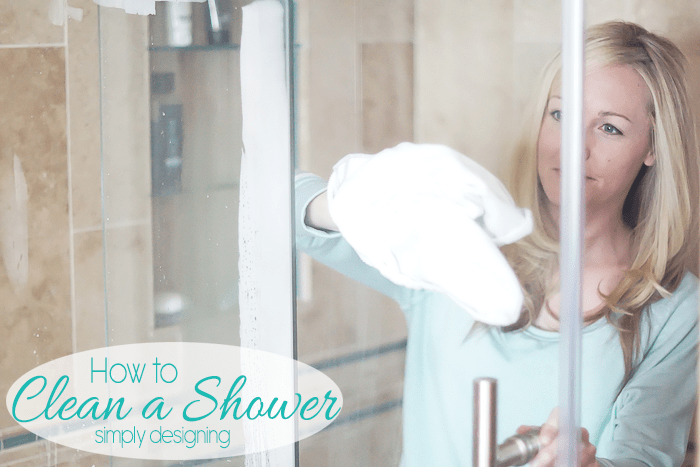 I didn’t have to get down on my knees to scrub anything off because this did the job for me! You can snag your own Deck Washer HERE. 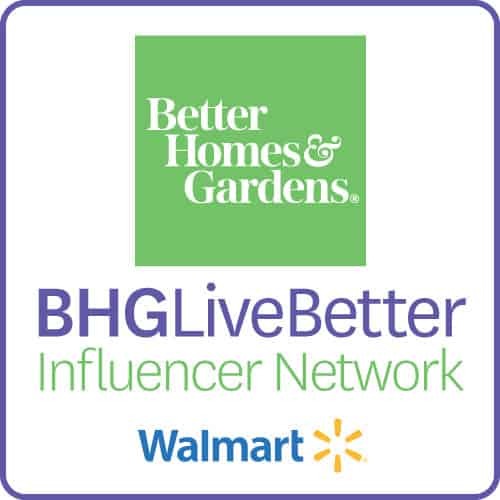 Also, remember to scroll down because HomeRight has generously offered to let me give one of these away to you today! Woot woot! It is always important to have adequate seating when hosting. 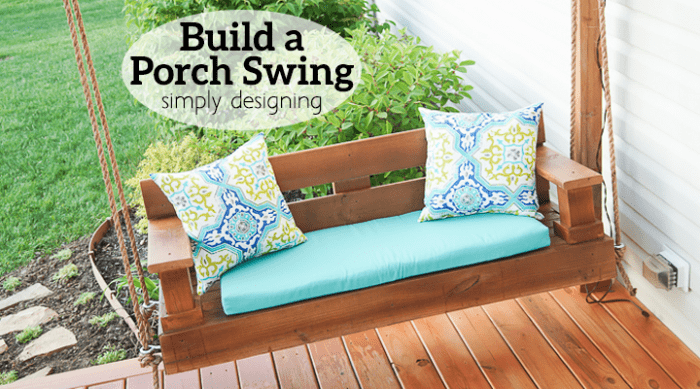 We built benches into our deck when we originally built it to help with that, but earlier this year we actually removed a portion of our bench to build and install our own porch swing instead! 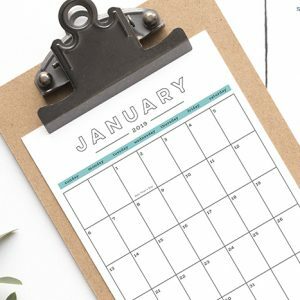 (You can read all about that here.) And it has been amazing! 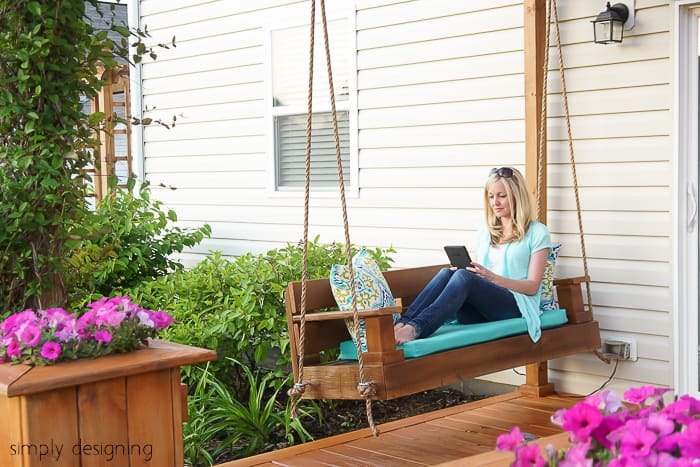 We actually find we spend more time on our deck because who doesn’t love to swing!? If that is a bit too much for you, just be sure you have enough chairs you can bring outside to use for any event you host. 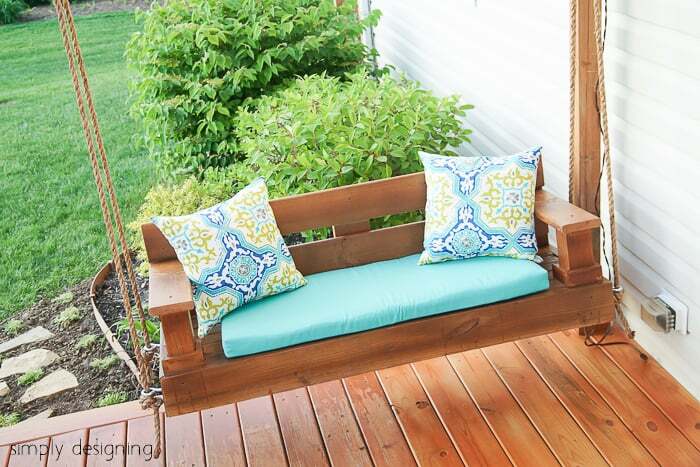 Adding cushions and pillows to benches or chairs can really help make an outdoor affair so much more comfortable! If you don’t already have pillows or cushions, consider investing in some good quality outdoor pillows to do the job! If you already have pillows, just ensure that they are clean and fresh looking before guests arrive! I found my pillows here. 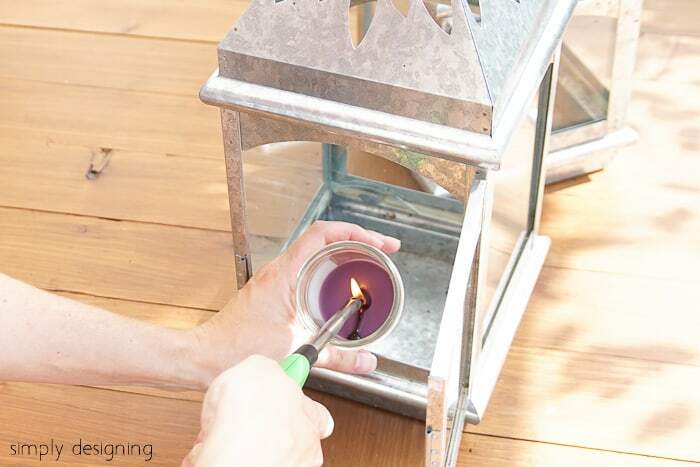 Especially if you plan to entertain at night, light a few citronella candles to help keep the bugs at bay! 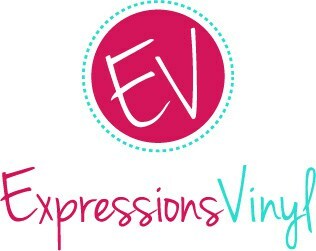 I have a couple of fun lanterns that my candles sit in, but you don’t have to get that fancy! 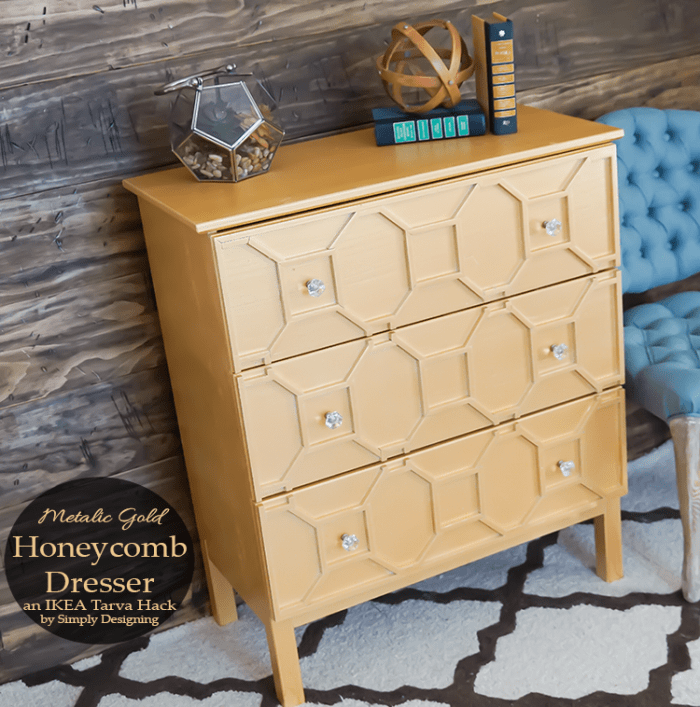 You can also keep a can of bug spray close at hand for guests to use as well. Mood lighting. 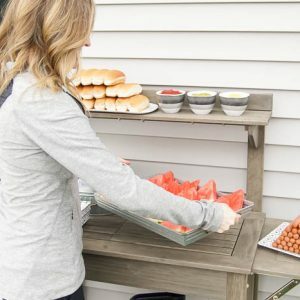 This is where outdoor entertaining is at! If you entertain after dark, it can be challenging to get enough light in your space to truly enjoy being outdoors with other people. This is where beautiful mood lighting is great! 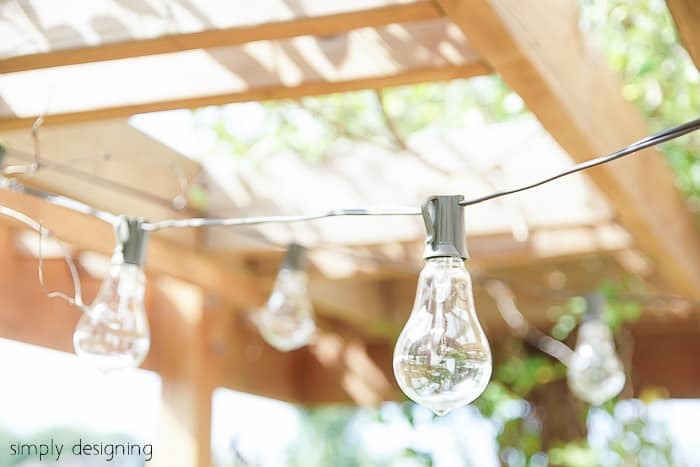 We added two strands of Edison Lights to the pergola of our deck and it creates such a fun and welcoming atmosphere! And they add just enough light to help the space be usable after dark! And that’s as easy as it is! 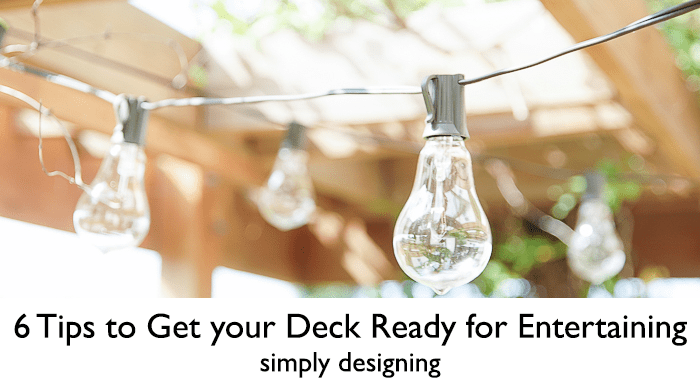 With just a few minutes of time and a few supplies you can get your deck ready for entertaining in no time! 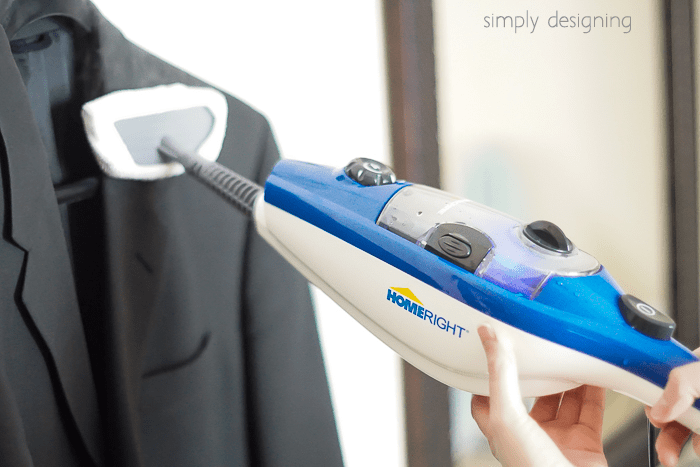 Now I am really excited to be able to giveaway this awesome Deck Washer Flow-Through Broom from HomeRight to one of my lucky readers! So please wait until the Rafflecopter fully loads below and then enter to win! (If you are on a mobile device, you might need to click the Rafflecopter link to be taken to the entry page.) Good luck! I could sure use one of these to clean my brick patio. Thanks for the chance to win! I would clean my deck first. The deck needs a great cleaning!!!! I really love those Edison Bulbs outdoors. 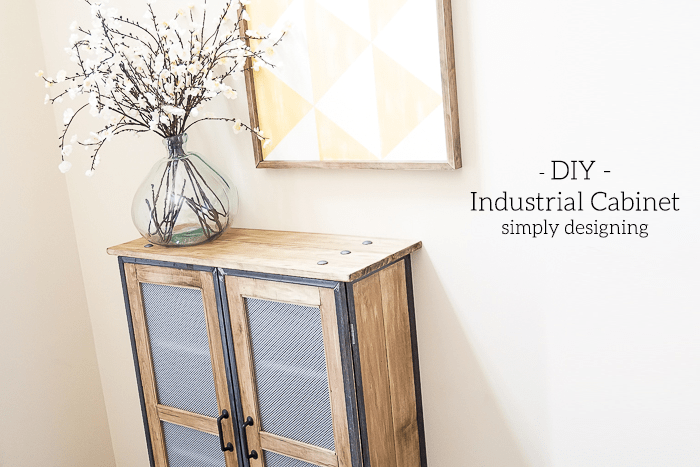 Really add character to the space. We added extra seating with a couch we built out of pallets. That deck washer looks AMAZING! I think it would work great on our brick patio. I would clean my deck. It could sure use it.